Education: Bachelor of Business Administration, Alfred University, Alfred, N.Y. Prior to its initial public offering in 2013, ING U.S. was a wholly owned subsidiary of Dutch-based ING Groep NV. In November 2009, ING began a global restructuring that included a planned divestiture of its U.S. subsidiary. As part of the process of becoming a stand-alone U.S. company, ING U.S. will rebrand itself; beginning in April, the company will be known as Voya Financial. Based in New York City, ING U.S. has major operations in eight U.S. cities, including Des Moines, where it employs about 400 full-time employees. Also employees with its technology partner, Cognizant Technology Solutions Corp., and other consultants represent another 400 people in this location. ING U.S. has had a presence in Des Moines since 1997, when it acquired the Equitable Life Insurance Company of Iowa. Des Moines serves as the company’s main site for ING Financial Partners as well as its annuity and asset sales organization. The company’s chairman and CEO, Rodney Martin Jr., joined ING U.S. in April 2011. He began his nearly 40-year insurance career in 1975 as an agent with Connecticut Mutual Life Insurance Co., ultimately becoming president of Connecticut Mutual Insurance Services. 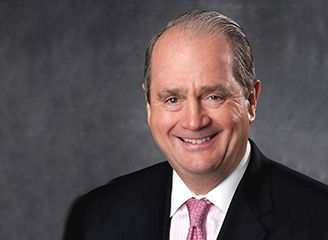 Before joining ING, he held several executive positions with American International Group Inc., including chairman of AIG’s international life and retirement services businesses. One of ING U.S.’ key goals is to increase its return on equity, which lagged in the single digits last year. In 2013, return on equity grew to 9.9 percent from 8.3 percent. Martin is targeting a growth range of 12 to 13 percent by 2016. Q&A with CEO Rodney Martin Jr.
What are some of the biggest objectives going into 2014? For the past couple years, much of our attention was centered on reconfiguring and reintroducing ING U.S. to the marketplace. ... Now, as we look ahead, our primary objective is generating profitable, disciplined growth while providing distinctive value to the 13 million individual and institutional customers we serve. As a public company, we must also create value for a new group of very important stakeholders: investors in our common stock. This means improving and focusing on our financial results. In addition to delivering strong operating performance, another key priority this year is the rebranding of our company from ING U.S. to Voya Financial. We’re thrilled about the new brand and what it means for the next chapter in our history. What do you see as the most important U.S. retirement trends, and how will ING U.S. capitalize on those trends? Americans have entered a new era when it comes to their retirement. Not only are individual saving levels inadequate, but the aging U.S. demographics, weakening social safety nets and shifting of responsibility from institutions to individuals magnify the challenge. At the same time, this represents a watershed moment for greater empowerment. Retirement providers have an incredible opportunity to help individuals and employers take control of their financial future through proactive planning and saving. That’s where ING U.S. comes in. ... Our three distinct businesses — Retirement Solutions, Investment Management and Insurance Solutions — each play an important role in helping individuals prepare for retirement. What portion of the “pie” does each of the three ongoing businesses represent? ING U.S. has a diverse mix of businesses with established leadership positions in the retirement, investment and insurance markets. Each of these plays an important role in our strategy of helping consumers with asset accumulation, protection, and distribution needs. For the full-year ending Dec. 31, 2013, 62 percent of the pre-tax operating earnings generated by our three ongoing businesses came from our Retirement Solutions business; another 25 percent came from Insurance Solutions; and the Investment Management business represented 13 percent. Any particular new products that will be rolled out this year, or in the next several years? Every product, service, resource or initiative we roll out will support our retirement readiness efforts. Leveraging the expertise of our three businesses, we’re focused on providing holistic solutions that can help take our customers to and through retirement. For example, in the accumulation and investment phase, we’ll continue to develop strategies that enhance our broad suite of equity and fixed-income funds as well as stable value and target-date products designed for a wide array of retirement-oriented investors. On the protection front, we’ve reshaped our insurance business to focus on higher-return, less capital intensive products. Accordingly, we’ve increased our focus on indexed insurance products, which offer principal protection and growth opportunity features to policyholders. And we’ve enhanced our growing suite of employee benefit offerings, such as group life, disability and voluntary coverage. These products can help employees protect their incomes, as well as guard against unmanageable medical costs. For the distribution phase, we continue to focus on expanding our retirement income solutions, such as fixed and fixed index annuities, and in-plan options. Also, for our work site clients, we’re developing comprehensive retirement readiness programs that plan sponsors can offer to employees. Your view of how ING U.S. weathered the recession of 2008-09; lessons learned? The market events of 2008-09 required many financial services companies, including ING U.S., to reassess their business, investment strategies, and risk and capital management practices. We’re extremely pleased with how ING U.S. has transformed and adapted to the new landscape. In an industry that demands prudent risk management, we’ve coordinated our strategic, financial and risk functions even more closely than before. This is helping us focus on risk reduction initiatives while determining where to best invest for the future. What do you see as ING U.S.’ biggest challenges in the year ahead? We operate in a highly competitive and regulated industry. To meet our customers’ needs, we must stay ahead of emerging issues and trends, which will continue to keep us busy. Whether it’s evolving our technology platforms, adapting our client service model, or finding ways to best support our distribution relationships, we must continue to develop innovative solutions that demonstrate distinctive value. The volume of work we’re focused on is significant — we have a detailed execution plan with over 30 initiatives across all our business and functions focused on margin, growth and capital. The good news is that our teams are working diligently to achieve our goals and mission, and we have made substantial progress. Above all, our business strategy is centered on solving the most daunting financial challenge facing Americans today: their retirement readiness. How do you get the average person who is 20 or 30 years away from retirement to take saving seriously? Encouraging individuals to change their behavior while helping them understand the sense of urgency required to prepare for the future is an incredible obligation. But we are more than ready to meet that challenge. What elements of ING U.S.’ strategy will remain consistent with its past, and what will some of the major changes be? The Voya Financial identity represents a new era for ING U.S. At the same time, it closely aligns with what the company is already known for — proactively and optimistically guiding Americans on their journeys to and through retirement. We will continue to build on ING U.S.’ track record as a leader in key retirement, investment and insurance market segments. Even though our name and logo will be different, our commitment to helping customers advance their retirement readiness remains the same. As a new public company, we’ve developed a clear strategy and shifted our focus away from top-line results to value creation.